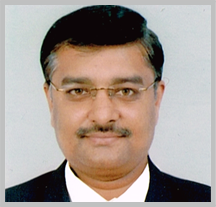 Dr.Saurabh Goyal Completed MBBS At RNT Medical College In 1993. Dr.Saurabh Goyal Completed M.S at S.M.S Hospital at Jaipur (Rajasthan) in 1998. Dr.Saurabh Goyal received the Maharana Mewar Foundation Award twice in the years of 1987 and 1989 for academic performance in the CBSE 10th and 12th exams. Award given for best academic performance in the city of Udaipur in board exams by His Highness. Received merit certificate in Mathematics and Hindi in the 10th CBSE exams awarded to the top 0.1% students in the country in the subject. Adjudged the best student for the M.B.B.S. batch of 1993 based on academic and co-curricular activities. Holds NCC ‘A’ certificate in the air wing. Dr.Saurabh Goyal been a topper throughout the academic program and cleared all exams in first attempt and first class. Dr.Saurabh Goyal been worked for 10 years at shalby Hospitals, Ahmedabad. This is one of the premier centers of the globe within the field of joint replacement surgery. He has done more than 9000 joint replacement surgeries together with primary and revision knee and hip surgery and shoulder surgery surgeries within the last ten years. At present Dr Saurabh Goyal, his attached with Sterling Hospital and Rajasthan Hospital in Ahmedabad. Dr.Saurabh Goyal attended the current concept meeting of the Ahmedabad Orthopedic Society at Ahmedabad in month of July 2001. Dr.Saurabh Goyal attended the 46th annual conference of the Indian Orthopedic Association at Ahmedabad and pre-conference workshop on arthroplasty in the month of December 2001. Dr.Saurabh Goyal attended the 21st annual conference of Gujarat Orthopedic Association at Ahmedabad in the month of February 2003. Dr.Saurabh Goyal attended the 1st annual conference of the Indian Society of Hip and Knee surgeons at Mumbai in the month of April 2006. Dr.Saurabh Goyal attended Current Concept in Joint Replacement meeting at Las Vegas U.S.A. in the month of May 2006. Dr.Saurabh Goyal attended the intelligent knee surgery course at Ganga Hospital, Coimbatore in the month of July 2006. Dr.Saurabh Goyal attended the first Dr KT Dholakia memorial lecture at Bombay Hospital, Mumbai in the month of August 2007. Dr.Saurabh Goyal attended the 1st Ganga Operative arthroplasty course at Ganga Hospital, Coimbatore in the month of May 2008. Dr.Saurabh Goyal attended the third Dr KT Dholakia memorial lecture at Bombay Hospital, Mumbai in the month of August 2009. Dr.Saurabh Goyal attended the 5th annual conference of the Indian Society of Hip and Knee surgeons at Ahmedabad in the month of May 2010. Dr.Saurabh Goyal delivered a lecture on “Prophylaxis treatment of antibiotics in implant surgery” at Ahmedabad in the month of March 2004. Dr.Saurabh Goyal delivered a lecture on “selection of patients and pre-op assessment” at the workshop for Chinese surgeons at Shalby hospital, Ahmedabad in the month of March 2006. Dr.Saurabh Goyal delivered a lecture on “Arthritis and its prevention and treatment” at the meeting of general practitioners at Krishna Hospital, Ahmedabad in the month of June 2006. Dr.Saurabh Goyal delivered on Preoperative planning and selection of patients in TKR, TKR in flexion deformity & TKR in severe varus deformity & the knee arthroplasty workshop organized at Sir JJ medical college and hospital, Davangere, Karnataka in the month of Sep 2008. Dr.Saurabh Goyal delivered lecture on Arthritis and its prevention at the “JOSH” conference (Conference on Occupational health) at Jamnagar in the month of Jan 2009. Dr.Saurabh Goyal delivered lecture on managing infected TKR at the annual conference of the Kerala Orthopedic Association at Kannur, Kerala in the month of Oct 2009. Dr.Saurabh Goyal delivered lecture on managing severe deformities in TKR at the refresher course in TKR at Saishree hospital, Pune in the month of Jan 2010. Dr.Saurabh Goyal delivered lectures on “managing infected TKR” and “TKR in special circumstances” at the annual meeting of UP orthopedic association at Allahabad in the month of Feb 2010. Dr.Saurabh Goyal Participated in the orthopedic camp at the Batrisi Jain Sewa Samaj at Ahmedabad. Dr.Saurabh Goyal Participated in the orthopedic camp at Unjha, Gujarat. Dr.Saurabh Goyal Delivered a lecture on Arthritis and its management at the Non resident Indian Parents association at Shalby Hospital Ahmedabad..
Dr.Saurabh Goyal Delivered lecture on arthritis at senior citizen club at Naroda, Ahmedabad. Dr.Saurabh Goyal Delivered lecture on arthritis at senior citizen club at Nadiad Gujarat. 2nd July 2014 Dr.Saurabh Goyal Delivered lecture on osteoarthritis at senior citizen garden Ahmedabad.